Nursery/floriculture crops have been one of the fastest growing agricultural sectors in North Carolina over the last twenty years.The wholesale value of these crops exceeded $777 million in 2008, far surpassing tobacco as the number one crop commodity in the state of North Carolina (North Carolina Agricultural Statistics – 2008). There are approximately 2,000 wholesale nursery businesses in North Carolina that employ nearly 152,000 people. North Carolina is now the fourth largest producer of nursery and floriculture crops in the United States behind California, Texas, and Florida. The total economic impact (including landscaping, garden center sales, etc.) of the green industry in North Carolina exceeded $8.6 billion in 2005 (NC Green Industry Statistics – 2005). 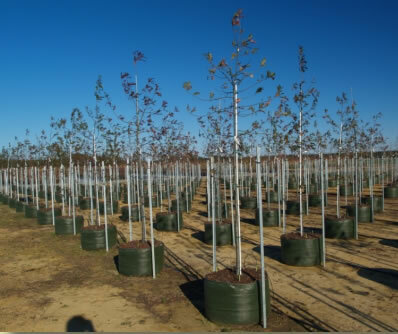 Nursery/floriculture crops have been the “growth sector” for North Carolina agriculture in recent years, and many farms that have traditionally produced field crops have diversified into nursery crops production. Production generally requires less land than traditional field crops and returns gross higher annual returns per acre. North Carolina includes diverse climates that are ideal for growing a tremendous range of nursery/floriculture crops that can be sold and grown in much of the country and throughout the world. 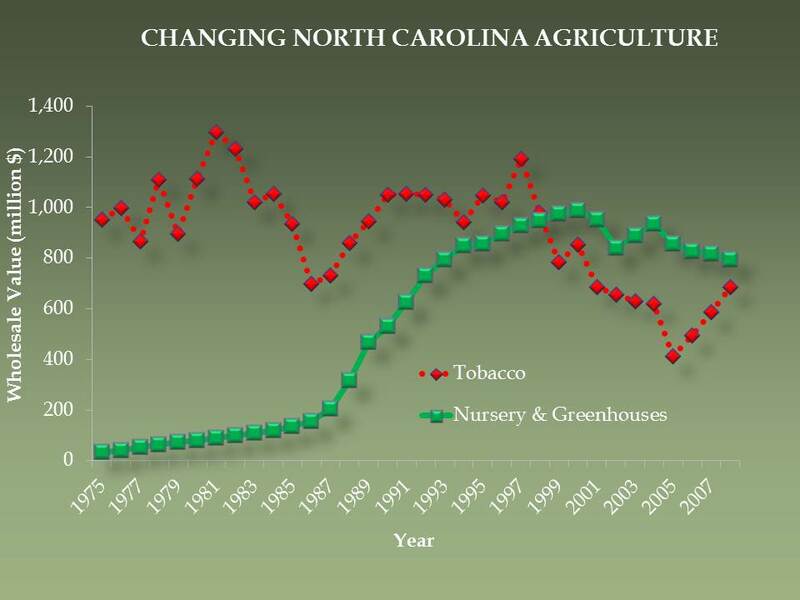 There is, however, strong competition in this industry and the economic recession has been devastating to the North Carolina nursery/floriculture industries. 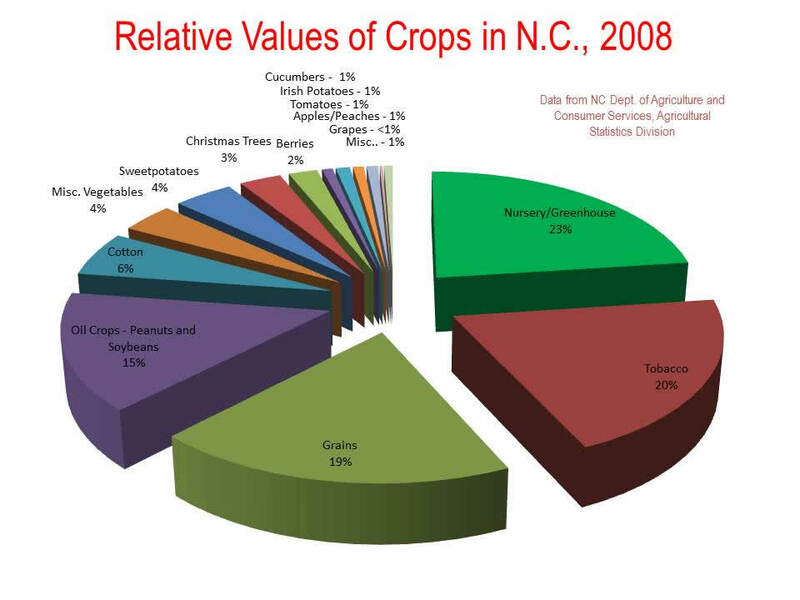 To be competitive, North Carolina producers need to be growing the most desirable crops available, produce high quality material, and do it efficiently. Research, Extension, and Teaching programs at NC State University help provide the education, know-how, new crops, and innovations to give our industry a competitive edge in a world-wide marketplace. The development of new crops, that have a strong demand and are ideally suited for production in North Carolina, is an essential component for the growth of these industries. Bioenergy crops are in our future. As the cost of fossil fuels increase, supplies decrease, and demand for energy worldwide grows, alternative energy including bioenergy crops will become more and more attractive. Bioenergy crops are an emerging market in North Carolina with huge potential. The North Carolina’s Strategic Plan for Biofuels Leadership calls for ten percent of the 5.6 billion gallons in annual liquid fuels sold in NC to be locally grown and produced by 2017. For more information on the future of biofuels in NC, see the Biofuels Center of North Carolina and Bioenergy Research Initiative, NCDA&CS.